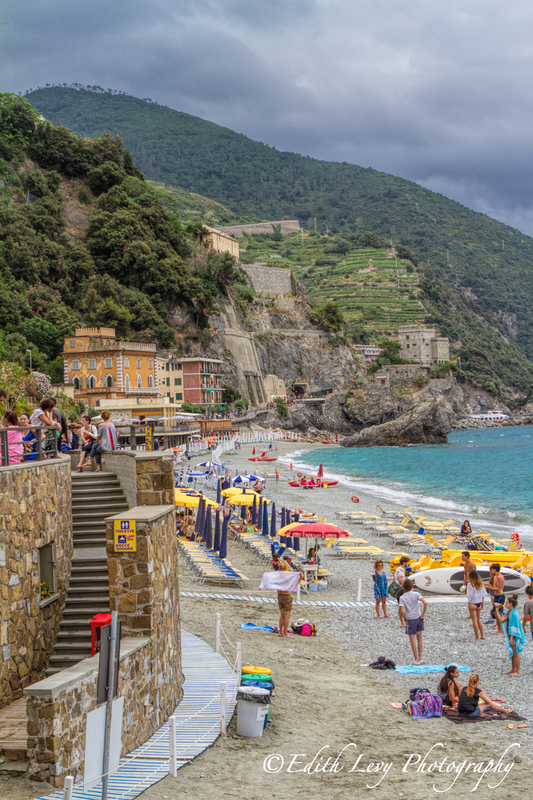 Monterosso or Monterosso al Mare is the last of the 5 villages in Cinque Terre that I had the pleasure to visit. This entry was posted on September 16, 2014 by edithlevyphotography. It was filed under Cinque Terre, Italy, Travel and was tagged with 7D, beach, Canon, Cinque Terre, fine art photography, Italy, Monterosso, mountains, path, sea, travel photography. Wish Indian beaches, and places, were like this, Clean, and Sensible, even. Thank you. Beautiful aren’t they. I’m in love and enthralled with the Italian landscape and Italy in general. I agree. I’ve spent numerous trips to Central and Northern Italy, and has it all the trimmings of a memorable holiday. So sorry that a downpour had to disrupt your visit….I hate when that happens. Me too….but it was nice to be there anyway. Too bad for the rain, this place looks like paradise. I did a google seach to see where it was, the city looks charming. It really is. I just wish we could have spent more time there. Sad for sure that your visit was cut short but you made the most of a bad situation with great images! Love the deatils and leading line in the second image Edith. oh my, the color of that water! So sorry you weren’t able to relax on that beach. What is the building in the second image? Thanks Laurie. I’m not 100% sure. It started to pour just after I took this shot and we headed in the other direction. There were no signs indicating what it was.